I wish: 1) I could swim and 2) today's "news" such as it is could be conveyed this quickly. 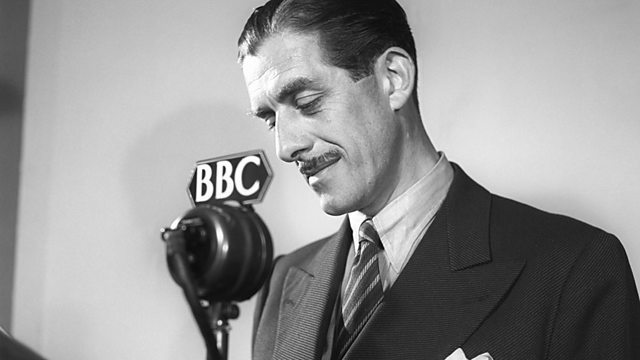 This newsreel made me wonder who the uncredited, perky British announcer was-- and it turns out his name was Leslie Mitchell. He had quite a colorful life and career. An aside is they were swimming in Lake Erie. Which at times was very challenging and cold. The Aquacade ended its run in Cleveland when the Great Lakes Exposition came to an end in September 1937. Rose took his show to the 1939 New York World’s Fair, with Holm and Weismuller reprising their starring roles, and it again drew rave reviews and large crowds. At the two 1939 fairs it was a different show (redone, reworked) and much bigger. Don't know if anyone knows but the 1937 Aquacade at the Great Lakes Exposition is portrayed in Barbra Streisand's 1975 film "Funny Lady." That water looks to be brutally cold. Buster Crabbe replaced Johnny Weissmuller in NY in 1939 and Gertrude Ederle joined the swimmers in 1939. As a total aside, TCM ran the film Sunday In New York a few weeks ago. Filmed on location in NYC in 1963, it stars Jane Fonda, Rod Taylor and Cliff Robertson. Simply because of the date the movie was created, I wondered if I might spot something, anything, that would make reference to the upcoming 1964 NYWF. And I did find something. On Fifth Avenue in front of the mezzanine one leading to the ice rink at Rockefeller Center, a NYC metro bus stops to either take on or discharge Fonda and Taylor. There, on the front of the bus is an advertisement for The 1964 New York World's Fair. I had been watching the, advertising cards inside of the various bus scenes but could not spot a Fair reference and then I spotted the advertising card on the front of the bus. It's a small find, I realize, but it made my day. Growing up in Cleveland(1980s), I hated swimming in anything but a pool or a small pond. There was nothing warm about a Great Lake , even in July. The water along the beaches of Lake Ontario become quite warm by July. Fair Haven beach, for example, can be like a Florida surf by August. However, it's all sand and one can walk out quite some distance and the water is warm. Deeper water isn't going to be like that especially into September and October.